Home PowerShell SharePoint SharePoint 2010 SharePoint 2013 SharePoint 2016 Site Collection How to Delete Site Collection using PowerShell in SharePoint? How to Delete Site Collection using PowerShell in SharePoint? 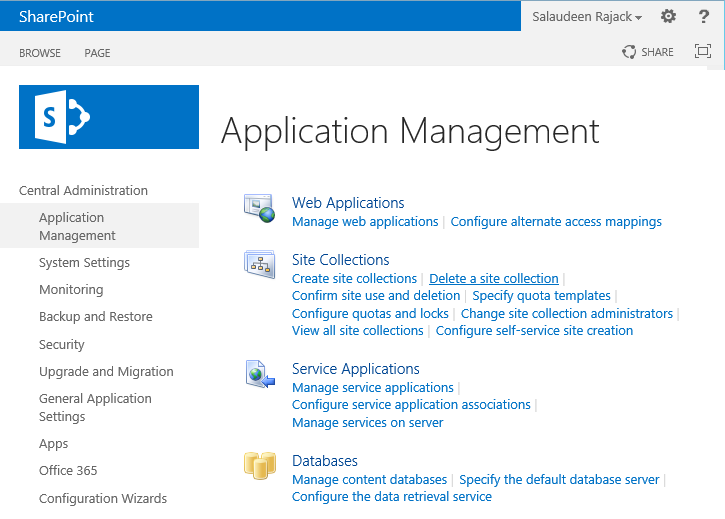 When you delete a site collection in SharePoint, all sites including the top-level site and subsite underneath, and all data present in the site collection, all user information in the site collection gets deleted. To delete any SharePoint site collection, You can use either SharePoint Central Administration site or PowerShell. 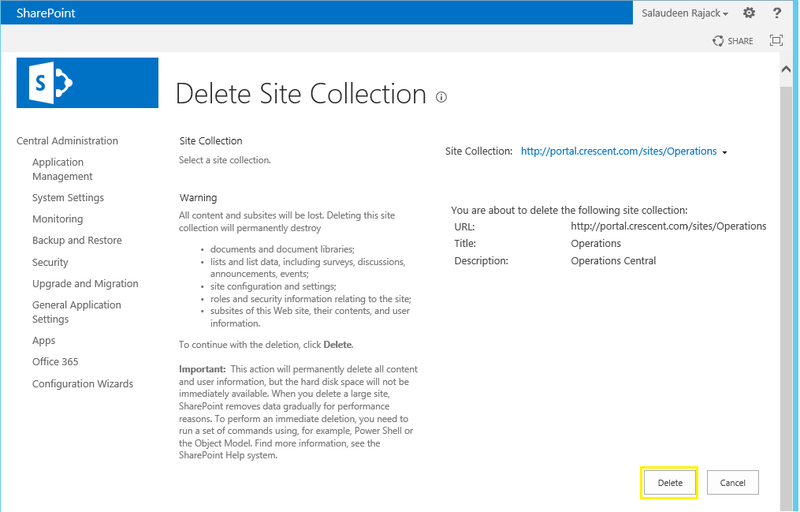 How to delete site collection in SharePoint 2013? 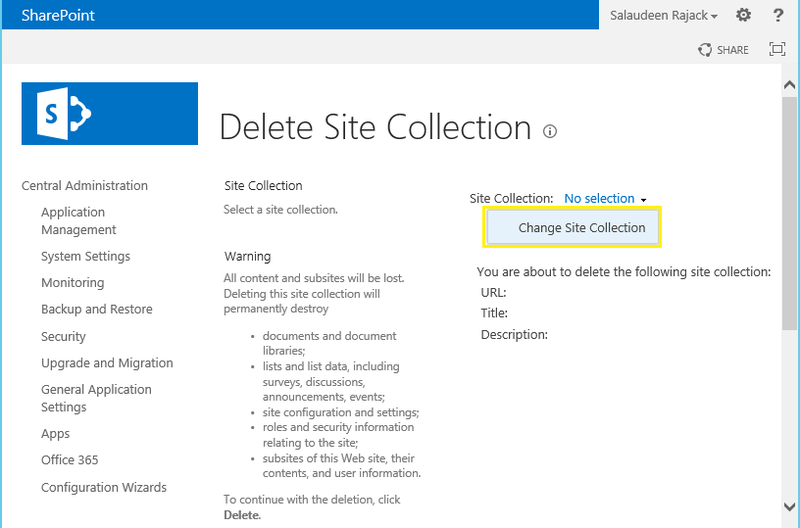 Click on Delete button to delete a site collection in SharePoint. Host named site collections can be managed only through PowerShell! Central Admin doesn't offer the provision to delete Host named site collections as it offers for Path-based sites. Following are some examples of deleting SharePoint 2013/2010 site collections using PowerShell. To delete site collection in SharePoint 2013 using PowerShell, use Remove-SPSite cmdlet. The -GradualDelete parameter instructs to delete the site collection gradually, instead of consuming all system resources to delete the site collection instantly in a single stretch. This reduces the load on the system when deleting large site collections. This deletes orphaned site collection sharepoint 2013 with PowerShell. How about bulk deleting multiple site collections? Say, You want to delete all site collections under the given managed path: /Sites?